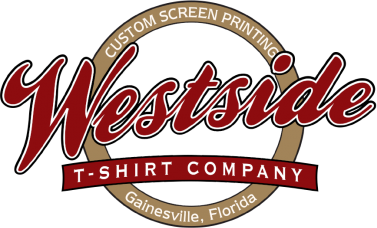 Westside-T-Shirts has been in the imprinted sportswear business since 1983. Our continued success can be attributed to a simple formula. We offer our customers the best value in the market, the finest garments available with up to date styles, decorated with uncompromising fine workmanship, and always delivered on time. If these qualities are as important to you as they are to us, please allow us to print your next order. We would enjoy adding you to our ever growing list of happy customers! Jason and the crew at Westside t shirt helped us during Harvey Budd’s campaign for City Commission. Not only did they deliver exactly what we wanted in an amazingly quick turnaround time, but working with Jennifer and Jason was a pleasure each and every time. Aside from being an excellent vendor, I feel strongly the branding and exposure we received from our army of supporters around town, made a big difference in the race and helped us win the election. Thank you.